The management of Wittenborg University of Applied Sciences has written to the Dutch Ministry of Education to voice its dismay over the University of Groningen’s decision to abandon its plans to offer full degree programmes in China, noting the damage the decision has caused to the reputation of Dutch higher education abroad, and specifically in China. "As integrity, sustainable management and ‘value for money’ become increasingly important discussion points within western societies, Dutch Higher Education is asking itself why it embraces internationalization, and especially the link between 'mass internationalisation education business' and 'funding', whether public or private, and especially a combination of these. 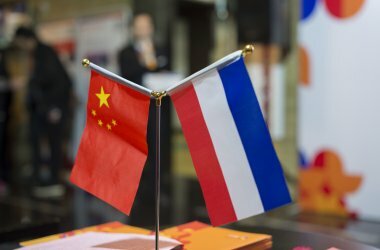 The University of Groningen (RUG) has spent the past three years investing in a venture in the Chinese city of Yantai, even having the Dutch Kind and the Chinese President sign the agreement to establish a branch campus – only to forget to inform all parties of the possibility that a works council could scupper the deal." In a hard-hitting letter directed to the minister, Ingrid van Engelshoven, Wittenborg directors Peter Birdsall and Maggie Feng asked that measures be put in place to restore Holland’s image in China, and that the university, as a state-funded institution, give a full financial account of the ill-conceived venture. Spelling out the wider repercussions of the Groningen-decision, the letter from Wittenborg reads: “A week after the matter hit the headlines, one of our partner universities in China indicated that cooperation has become much more difficult, which has now forced us to drop agreements around student exchange programmes. These agreements were already at an advanced stage, and were to form the basis of Chinese government subsidised exchange programmes. Talks about setting up a branch campus of the University of Groningen (RUG) in China already started at the beginning of 2015, with the university board being informed around May 2015. Only in 2017, when it became clear that the board would not concede to the plans, was the Yantai-commission formed to gather the necessary background information to give the go-ahead. In the meantime, RUG had already concluded an agreement with Yantai and invested millions of euros. “In light of these events we ask how the management of a state-funded university signed a cooperation agreement – under the auspices of King Willem Alexander and President Xi Jinping of China, no less – to set up a campus in Yantai without proper consultation or adherence to the proper requirements? How did it happen that the Chinese thought it was a done deal, while nothing had actually been presented and agreed to by the university board at that stage?” Birdsall and Feng write. They also question the role of NESO China, part of the Dutch agency NUFFIC that promotes Dutch education abroad, in the whole ordeal. In conclusion, Wittenborg asked the minister to make sure that, in future, state-funded universities adhere to the rules which guide their decisions, that damage control measures be put in place in the aftermath of the Yantai-deal, and also for a full financial account of the venture.